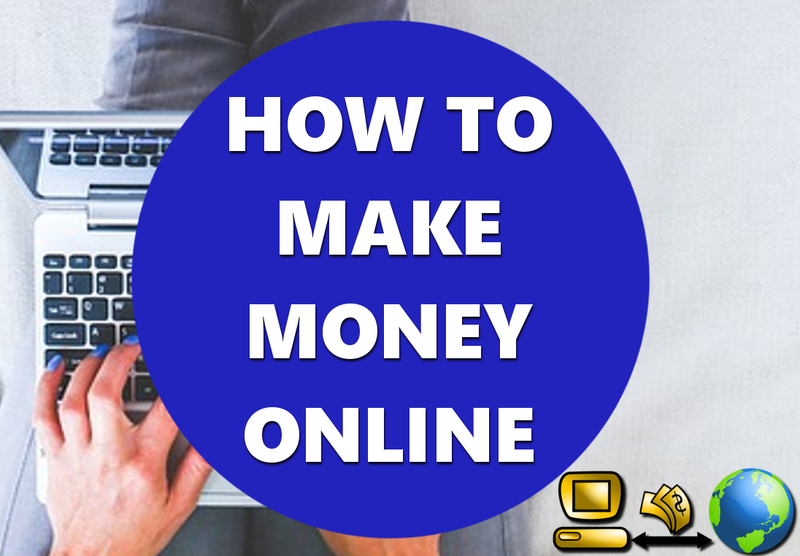 Want to start the process of making money online? Do you have the ability to write? If you answered Yes to these two questions, then there is no reason why you can't begin the groundwork for earning money online, today—without any out-of-pocket expense! Here, I share with you how to quickly become a published writer for FREE & get on the path to getting paid. I can tell you first hand as a writer that there is nothing more thrilling and gratifying than to be able to say, "I am a writer," when asked what I do for a living. If writing is in your heart, then there is no excuse for not doing it right now. One thing I mentioned to my husband just the other day was how amazing it is to live in such a technically advanced world as a writer. While, sadly, many jobs are becoming obsolete due to the advancement of robotics and computer science, we are finding that the world of information technology is rapidly expanding day-by-day. To be a writer in a time where information is king is incredible. Since technology is on our side as writers, there truly is no reason why any of you reading this right now shouldn't already be published. Whether it be book writing, blogging, or article and content writing, the tools are out there just waiting for you to take advantage of them. There was a time when being a writer was a starving and sacrificial occupation — a pipe dream for most. Not anymore. I'm about to share with you, ways you can begin right now, for free — ways that can over time create a side income, and with due diligence, a living wage. While the tools I'm about to share with you are monetarily "free," the time is not. It takes a lot of practice, learning, and time to hone in on your chosen craft. You have to be willing to take what I'm giving you and research for yourself, dedicate as much time to writing as possible, and be self-motivated. Treat the process like a job — a job that you love and want to perfect. With this attitude, you will undoubtedly be successful and rewarded over time. I have authored eight different eBooks to date. Many online services are readily available for the indie writer. When I began years ago, I had little to no money available to spend on any fancy, paid "self-publishing" services. I had to find the most legitimate, universally accepted way to publish my works for free. Through much "shopping" for a suitable publishing outfit, I decided to sign up for Amazon's Kindle Direct Publishing. 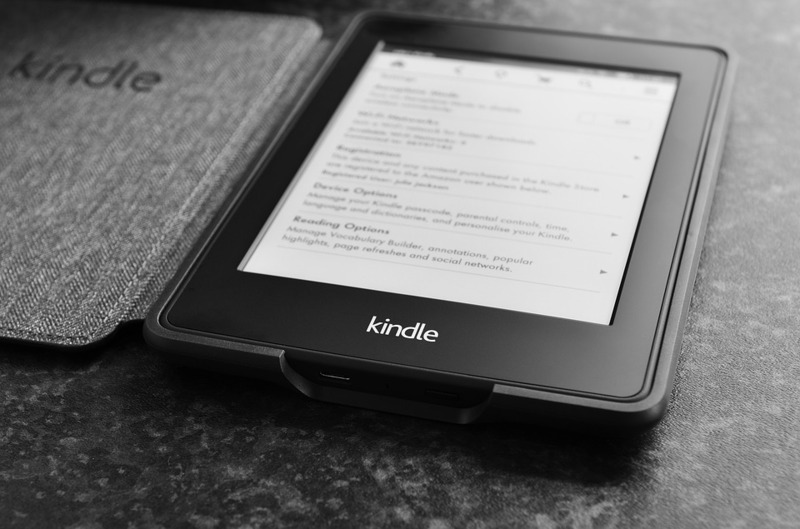 I chose Amazon for obvious reasons; they are massive, and there are millions and millions of readers worldwide that trust and use Amazon Kindle services. I also liked that there is zero cost to sign up and publish, and there is some versatility in the earnings percentage packages that they offer (to which you are free to change at any time). Another perk I love is the KENP program (Kindle Edition Normalized Pages). The KENP program is a cool royalty program that allows you to opt-in or opt-out. Since the implementation of the Kindle Unlimited service (for a monthly fee, readers can borrow and read as many books that they like that are enrolled in the KENP program), they've created KENP which generally speaking pays the author a royalty for a number of pages a reader reads through. I've seen revenue from this program and strongly suggest that if you publish through Amazon, it certainly is worth checking that little box. As stated above, to sign up and utilize the service, it is entirely free! You simply need to have a valid email, and you will need to fill out your bank information (as they pay monthly via direct deposit). Once you sign up, you will find that there are lots of forums, articles, and tools they offer to their authors on how to get started and answering virtually any question you could have regarding the publishing process. You will need to format and convert your writing into an acceptable file as well as have an eye-catching, professional cover for your book. Once these processes are completed, you simply upload them to KDP, and you have officially begun your career as a self-published author! When I began searching for how to become an article writer, I was overwhelmed. But then I came upon a service called Hubpages. Not only is it completely free to sign up, but it also offers a unique opportunity to begin earning a side income. I also love that not only is it an excellent platform for article and content writers in general, but it is made up of an incredibly supportive and impressive network of authors from all walks of life. Another aspect of Hubpages I thoroughly enjoy is that the owners and staff are always working hard to not only improve the Hubpages platform but expand it. I also appreciate the fact that they make a point to interact with and engage the writing community. Our success is their success and vice versa. With Hubpages constant spirit of growth and improvement, they have a plethora of network (dot com) sites that give your articles, even more, opportunity for search ranking and earning potential. If you are able to write engaging, interesting, and unique content, you will find much success with Hubpages. 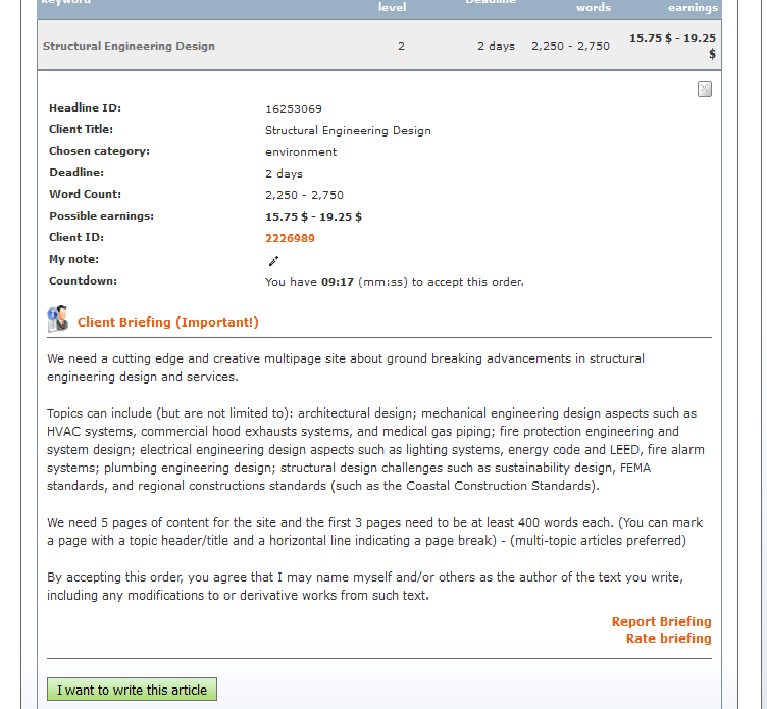 Another awesome reason to write for Hubpages is that you 100% own the content that you write. You can publish and unpublish as much as you want! Hubpages is my number one choice to write for and grow as a writer. To sign up, all you need is a valid email address. If you look to earn money for your writing, you will need a valid PayPal account to link your Hubpages account to receive future payments. Click here to get started! Textbroker.com is a company out of Las Vegas, NV that sells custom articles and content to businesses (since 2005). It is completely free and easy to register as an author. During registration, you will be asked to select areas of expertise. You will need a valid email address as well as a PayPal account (like Hubpages, this is their chosen payment vehicle). me an hour from start to finish. Part of the process will require you to submit a sample of your writing (they give you a choice of one out of four general topics). Once they review your writing, they will assign you a star level (one star to five stars). This star level will determine what level of jobs you qualify for, from the database. The higher the star level, the better the pay. The minute I was officially approved, I was looking at and accepting various job assignments (typically from 100 words to 400 words per assignment). These jobs individually pay from $1.00 up to $5.00, depending on the star level and depth. 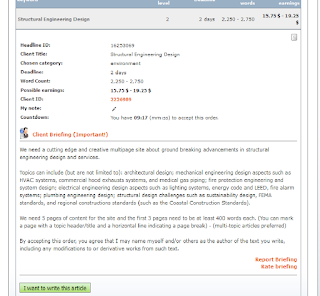 If you can quickly, and efficiently write about various topics, Textbroker could be a wonderful outlet for you. Their payout threshold is $10.00, and with that being said, you could be earning money almost immediately. A blog is easy to begin. If you have a interest or specialty that is unique and that you enjoy writing about, then you should have no problem finding success as a blogger. There are plenty of free places online where you can begin for FREE—Blogger or Wordpress are wonderful free sites to consider. That's Great! But how does anyone make money as a Blogger? By monetizing their blog. They find a topic or series of related topics that they enjoy writing about and they write unique, quality content. Over time, one will have written a nice chunk of unique, quality content (at least 500-600 words per post—the more the Better—at least 1200 words is preferable) that they can successfully apply for Google Adsense. How To Monetize Your Blog or Website—If you have a blog or are thinking about starting a blog and want to learn how you can start earning money with it, you've come to the right place! This simple, short post will help you get started out on the path to monetizing your passion—Today! While awaiting to reach the point of approval from Google, you will still be able to seek out affiliate opportunities—Amazon, Ebay, Commission Junction (these are some popular, highly trusted affiliate programs, there are many others you can search out on the web). Enjoy this video below on starting a blog. Her YouTube channel is loaded with extremely helpful information for anyone trying to be a successful blogger. As you can see, with a little time, effort, and determination, you can create a side income for yourself. With a lot of time, effort, and determination, you could very possibly create a full-time job. As you read this, there are people out there in the world, making decent money doing one or all of the above ways I have shared with you (including me). To increase your earning potential, you should consider participating in all of the ways mentioned in this post. They are all viable and cost you nothing to start. If you're serious about making money writing, there is no better time than right now, to begin!